How long will my transition to Scholastica take? What if I need help - will I receive training and customer support? What has transitioning to Scholastica been like for other journals? Scholastica has an end-to-end peer review platform your journal can use to accept submissions, track manuscripts throughout peer review, and build your reviewer database. You can also start and store all manuscript-related communication with editors, authors, and reviewers right from Scholastica. Our system is ready to use right away and is designed to be flexible enough to fit any workflow. Over 500 journals of all sizes and in all disciplines use Scholastica to manage peer review. We also have open access (OA) publishing software that integrates with our peer review software to create a complete OA journal management solution. With Scholastica OA publishing, journals can create their own website using our customizable journal website template. The websites are mobile-friendly, feature searchable metadata, and all articles published on Scholastica are automatically indexed in Google Scholar. Journals select their logo, images, branding, and custom domain. When you use Scholastica for whole OA journal management, you can seamlessly move articles from peer review to publication. 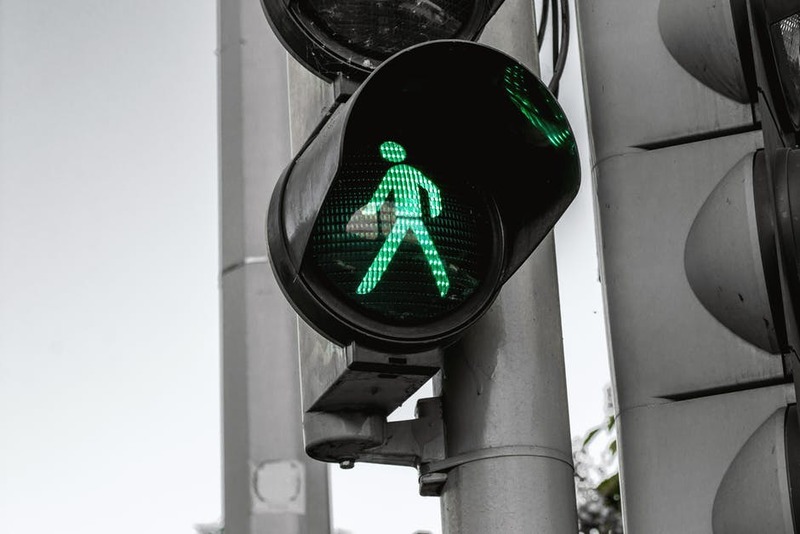 If you’re currently managing peer review for an OA journal, transitioning your journal to Scholastica for both peer review and publishing can help your team centralize all of your workflows to move faster and with fewer hangups between peer review and publication. Now that we’ve looked at the two sides of Scholastica, let’s dig into the transition process! Hint: Whether you’re looking to use Scholastica for just peer review or as a whole OA journal publishing system, your transition will be fast and painless! Scholastica is ready out of the box for you to use and can be applied to any workflow. How long does it usually take to set up a Scholastica account and start using the software, you ask? Try less than 2 days! To start using Scholastica you’ll need to first create an individual account. From there you’ll be able to create a journal account by clicking “start a journal” from your user dashboard. During the journal creation process you’ll be taken through a quick series of questions to get your journal up and running including your journal discipline, journal description, and editorial board. 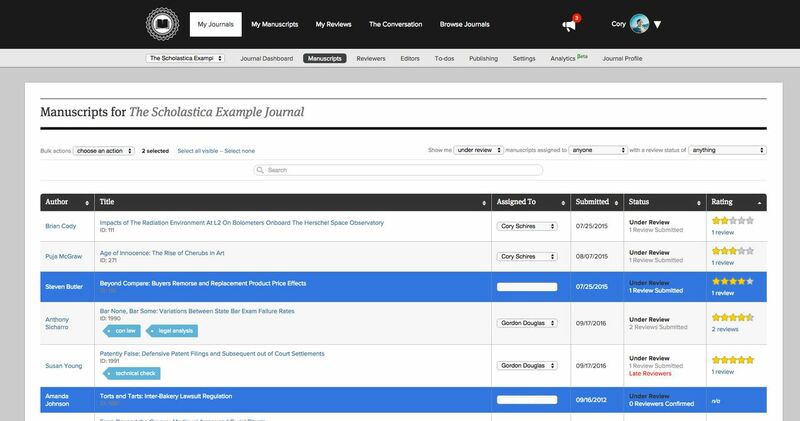 Once you’ve finished the journal creation process you’ll receive a confirmation email with some more details - our team will need to get in touch with you to confirm you’re an authorized journal user in order to make your journal visible to the public. You should hear back from us within the next 2 days. In the meantime, you can start setting up the details of your journal’s Scholastica account. Once you speak with a member of the Scholastica team to confirm your journal you can begin using Scholastica. You’re likely also wondering how you’ll be able to move your current peer review and/or publishing processes over to Scholastica. You don’t have to go it alone; we’re here to help. Our team has experience helping hundreds of journals adapt their various workflows to Scholastica and we’ll do the same for your team. Our customer success specialist will contact you shortly after you’ve set up your journal account to set up a free training for you and your team. If you can’t all make the same training, no problem! We can record training sessions for you to share among your team later and we offer additional free trainings on your schedule. Prior to the training, our support specialist will ask you to share a brief overview of your current journal process. She’ll take that information and determine how to adapt your workflow to be as efficient as possible on Scholastica and then walk you through it. Your training will take under an hour and once it’s done your team will have a complete overview of the system. Scholastica also offers free support to your authors and reviewers, so you don’t have to worry about fielding technical questions. Focus on the outcomes you want for your journal rather than sticking strictly to how your workflow used to operate. Make a clean switch to Scholastica - finish up any in-progress manuscripts on your current system and, as soon as possible, provide instructions on your website to direct your authors to submit to your new account on Scholastica. Send all new messages to editors, authors, and reviewers using Scholastica Discussions so your communication in Scholastica and your old system stay separate and nothing falls through the cracks. If you plan on using Scholastica for OA publishing you may be wondering how you can move over back issues. We’ve got you covered there! You can easily upload back issues to Scholastica. If you have a big archive let us know, we can work with you to ensure an easy transfer of all content. Marianne Saglam, managing editor of ITE Journal, also shared a detailed window into her experience moving the journal’s peer review process to Scholastica in this blog post. Have additional questions about transitioning or want to get a quick tour of Scholastica? Let us know! Click here to schedule a call with a member of our team. From your editorial board's vantage point, all the benefits of a scholarly journal management system are plain to see. But how can you make your stakeholders feel the same? Have you resolved to make peer review software a priority in the new year? Why you should make it a priority to find quality peer review software or improve your current system this year.